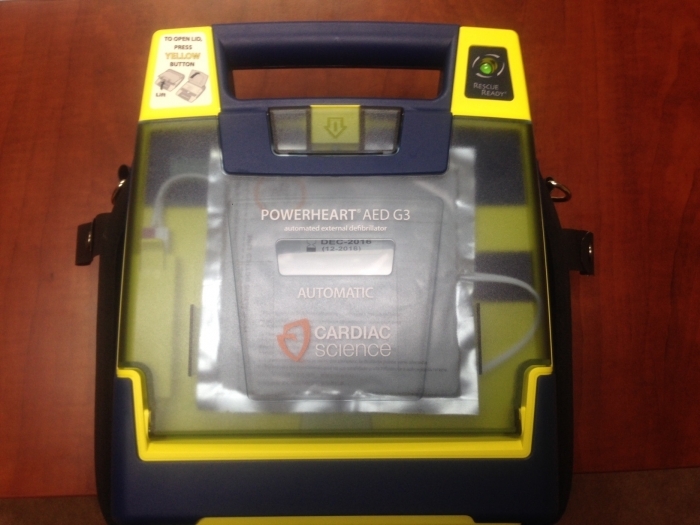 Cardiac Science Powerheart AEDs Placed In Service at Bienville Family Clinic . . .
Automatic External Defibrillators (AEDs) have been placed in service at Bienville Family Clinic. One is housed on the clinic premises, the other in the clinic's transportation van. An automated external defibrillator (AED) is a portable electronic device that automatically diagnoses the life-threatening cardiac arrhythmias of ventricular fibrillation and ventricular tachycardia in a patient. The unit is able to treat them through defibrillation, which is the application of electrical therapy which stops the arrhythmia, allowing the heart to reestablish an effective rhythm. With simple audio and visual commands, Bienville Family Clinic's AEDs are designed to be simple to use for the layperson, and the use of AEDs is taught in many first aid, certified first responder, and basic life support (BLS) level cardiopulmonary resuscitation (CPR) classes.